As you can imagine, the reel is a vital part of your fishing rig. Beyond understanding its necessity though, many novice anglers are confused by the different types of reels used for saltwater fishing in Cocoa Beach and throughout Florida. It’s important to note one key difference between fresh- and saltwater reels. You can’t simply use your bass reel for fishing around Cocoa Beach since saltwater and air will, over time, corrode its components. 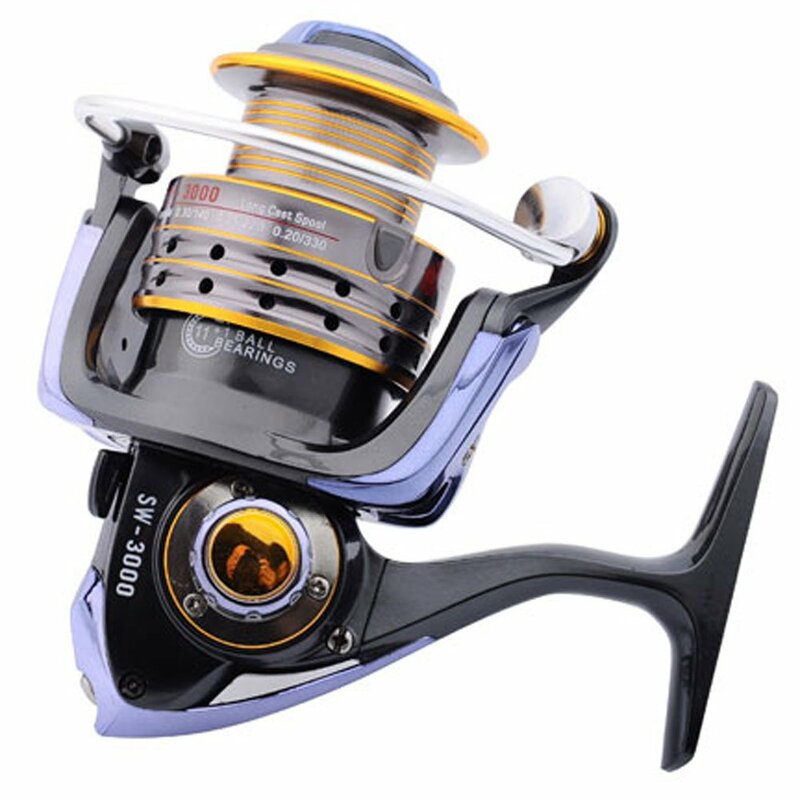 In order to have a reel that will stand up to these rough conditions, they must be made from resin, titanium or stainless steel. Fortunately for the novice angler, there are many reels available that will both hold up to the corroding properties of saltwater and be friendly to the wallet. Continue reading for the 4 common types of reels used for saltwater fishing in Cocoa Beach. Which one you use will depend on what type of fishing you plan on doing. 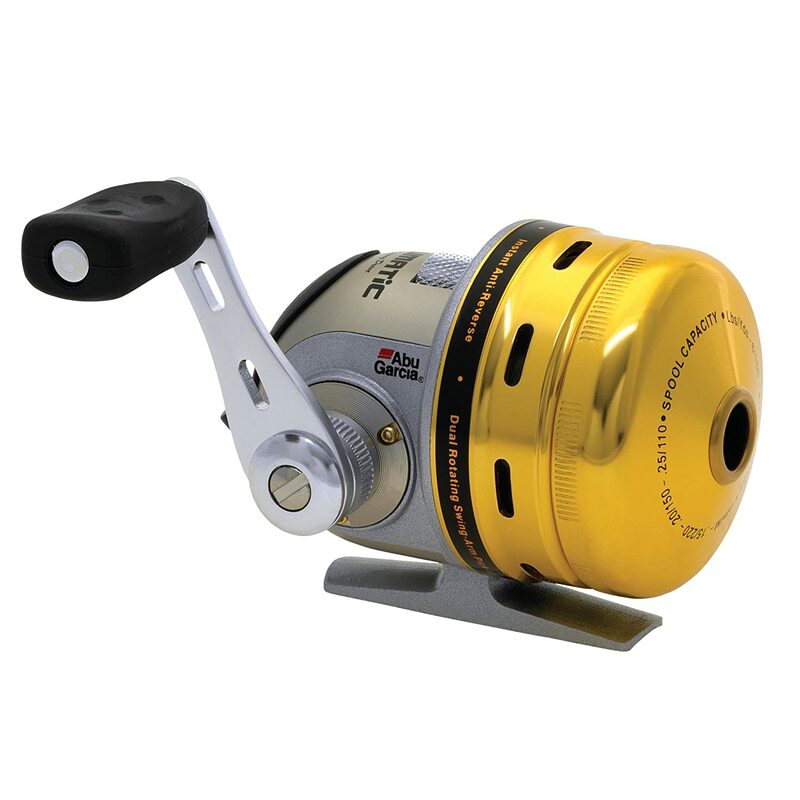 Spinning reel – Ideal for inshore fishing in the Indian River Lagoon, the spinning reel is the most popular and is also easy to use. Anglers also do not have to worry about backlash. The spinning reel has an open-face for your spool of line, which helps prevent it from tangling up. It sits underneath your rod where you pull the clasp to release your line. Also, most models allow you to place the handle on either the left or right side depending on what your dominant hand is. Many fishermen like spinning reels for top-water poppers and high-speed plugs. Spincast reel – Somewhat similar to the spinning reel in terms of action, the spincast reel is more suited for younger anglers. Spincast reels don’t hold as much line as the spinning reel. They are closed face and sit on the top side of your rod. They’re more common in freshwater, but many saltwater models have become available in recent years. To cast, simply push the button on the front and throw the bait. Baitcasting reel – Although the baitcasting reel holds more line than the spinning reel, it is a little bit harder to cast. However, they typically work better when you’re using big baits, bottom fishing or jigging. They are the preferred choice for fishing offshore and designed for holding heavier weight lines. Unlike a spinning reel, the baitcasting reel sits on top of your rod. One drawback, especially for beginners, is if the spool turns faster than the line during casting. When this occurs, the line gets backed up into what’s called a “bird’s nest” and can take a few minutes to fix. 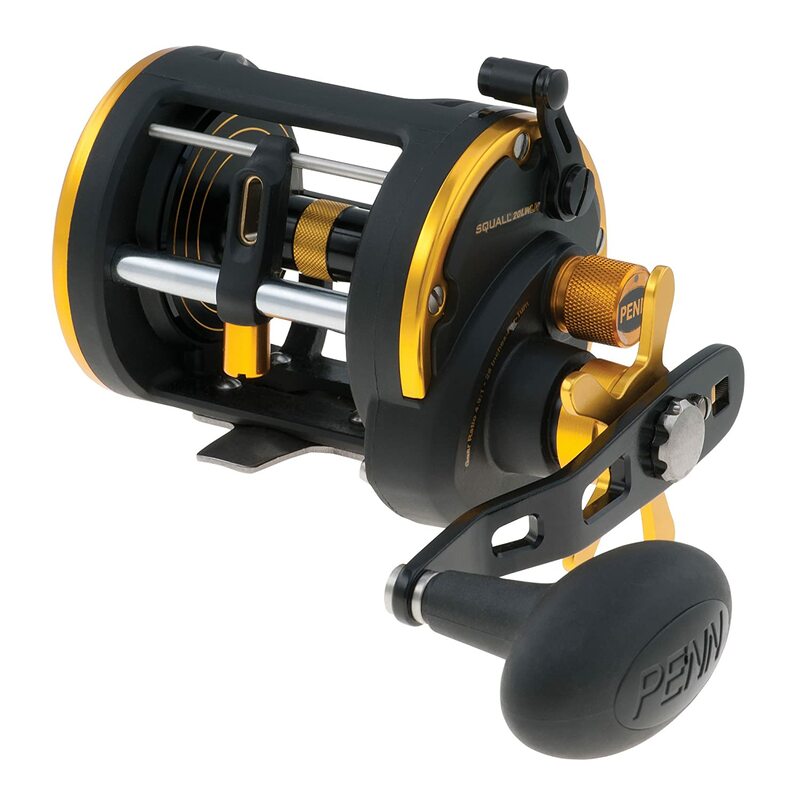 Conventional/Saltwater trolling – Also used offshore and somewhat similar to a baitcasting reel, a saltwater trolling reel lets you set your maximum drag. The trolling reel’s lever drag system (…as opposed to a star drag) makes adjustment much easier since the lever is conveniently located on the side of the reel. They are also a bit larger, which allows for more line and a better handling of the pressure a large fish will bring. Saltwater trolling reels are available in a variety of weights. Lighter weights are more suitable for smaller fish like a Dolphin or Marlin while a heavier weight is needed for fighting big fish like a Billfish or Bluefin tuna. Saltwater jigging reels – Essentially a modified spinning or baitcasting reel with a slower retrieve ratio, saltwater jigging reels are specifically made for “jigging,” which is a popular fishing method that retrieves the lure at a much faster speed. The slower retrieve ratio, which is typically below 5:1, allows you to put steady pressure on your hook. Coupled with a light-action rod, you will feel even the most minor nibbles on your bait. If you’re going to purchase a saltwater reel, you need to factor in the type of fishing you will be doing. 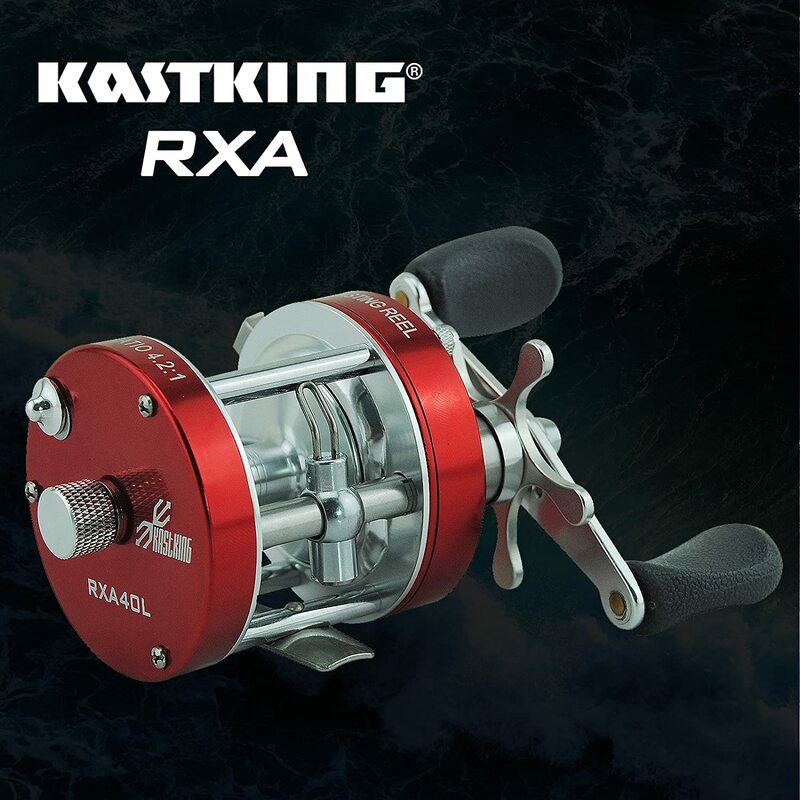 A spinning or spin cast reel will not be suitable for offshore fishing, while a trolling or baitcasting reel will be too large for inshore species like Redfish and Trout. Also, you will need to choose between high- and low-speed. High-speed reels have a gear ratio over 6:1 and are better for retrieving your bait fast. Low-speed reels on the other hand have a gear ratio under 4:1 and are better for some of the larger monsters offshore. More advanced reels come with both. If you’ll be taking a fishing charter in Cocoa Beach, the captain will have all of the right rods and reels for the particular spots you’ll be going and the particular fish you’ll be targeting. Captain Mark Wright has extensive experience choosing the right gear for the particular application. If you’re out fishing with him around Cocoa Beach and choose to take the next step, he will be able to guide you on the right rod and reel combo you will need. To learn more about Capt. Mark’s inshore and near-shore Cocoa Beach fishing excursions, visit CaptMarkWright.com, click here for a list of available dates today or contact Capt. Mark directly through email (CaptMarkWright@earthlink.net) or phone (321-302-3474).